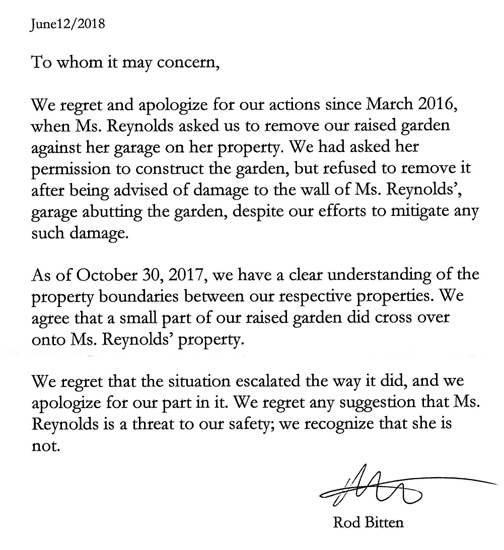 Security has been hired to prevent Bitten and Haraldson from repeating their disruption of the Oct. 19, 2016 meeting. Everyone is welcome! 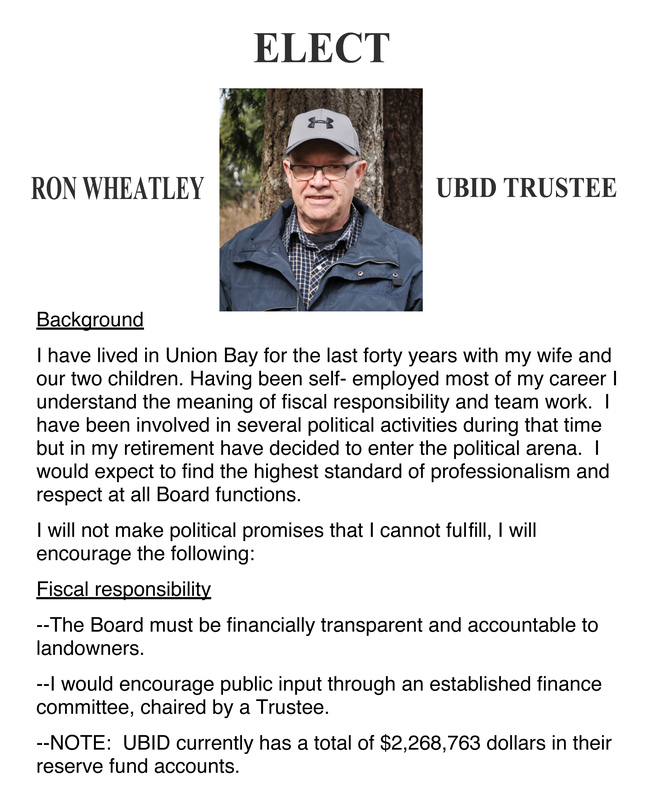 There’s a big difference between someone who claims to have lived in Union Bay for four generations, worked out of town and never bothered to follow or get involved in the issues facing Union Bay and someone like Ron Wheatley who has lived in Union Bay for over 40 years and has been involved and kept up with each and every issue in his community. Ron is an excellent candidate who really does understand the issues and actually enjoys speaking one on one with landowners and is more than willing to answer any questions landowners have. Ron won’t tell you he’s too busy to answer questions unlike candidates Bitten and Haraldson. Ron doesn’t have to run away because he has taken the time to understand the challenges facing our community. Ron wants you to be proud of your Trustees. 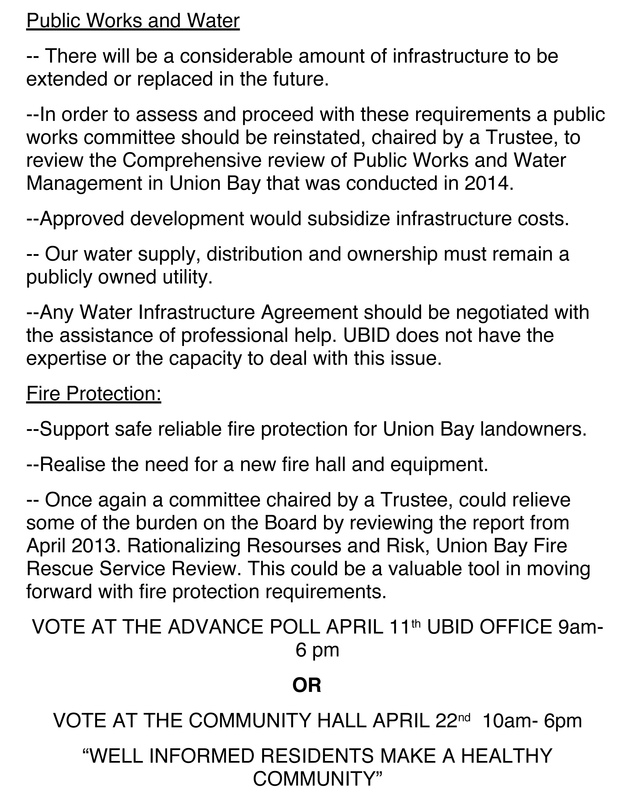 A vote for Bitten or Haraldson is a vote for continuing the Union Bay Gong Show! Let’s make a positive change this election.